The Annual AGCSA Australian Turfgrass Conference & Trade Exhibition is returning for its 33rd year, kicking off on June 26. This year’s event is being held at the Novotel Twin Waters Resort on Queensland’s Sunshine Coast. Official registration and welcomes begin on Sunday 25th June, and the conference program runs from Monday 26 – Thursday 29 June. This year’s conference component covers a range of different areas of the turf industry, no longer focusing solely on golf. There will be golf and sportsfield streams at this year’s conference, as well as agronomy and management streams. On Wednesday 28 and Thursday 29 June the popular Trade Exhibition segment of the conference will be open, and is free for delegates and industry professionals to attend. The Trade Show is just as beneficial for guests as the conference programs, as it is a chance to meet and network with other industry professionals, sometimes even finding new business opportunities or strengthening continuous ones. 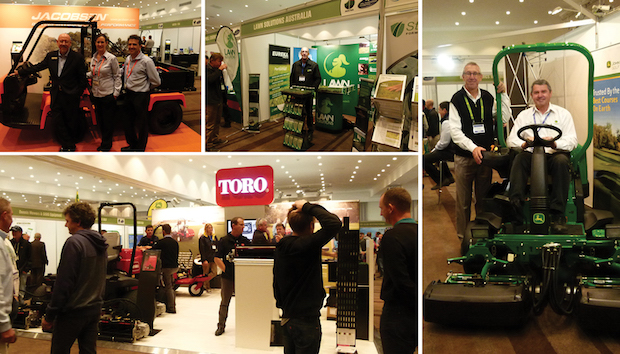 To make sure you get the most out of the 33rd Australian Turfgrass Conference and Trade Exhibition, we have put together a list of the events best bits, who to look out for and what not to miss! Making their way from their UK home base, Jacobsen has travelled to Australia via Bangkok, Beijing and Hong Kong for what they’re calling the Jacobsen Turf Talk Tour. This year, Jacobsen have brought Lee Strutt to Australia, a greenkeeper by trade, Strutt now utilises research and develops management techniques to manage golf courses in the UK. Now seen as a professional manager and mentor to his industry peers, Strutt is one of the presenters in this year’s conference program. Strutt will talk about his experience working at the Ryder Cup, Golf Course management in the UK, and will also form part of the Turfgrass Talkback panel; answering audience based questions alongside Matt Roche, Professor Mike Richardson and Andrew Peart. Jacobsen is dedicated to educating turfcare professionals around the world through their Future Turf Managers Initiative (FTMI), which they are bringing back to Australia for this year’s Australian Turfgrass Conference. Lawn Solutions Australia is excited to show the turf industry two new grasses coming to the market this spring. LSA will be promoting their new Sir Grange Zoysia grass and TifTuf Bermuda Grass. Sir Grange is a result of extensive research and development for a fine blade premium turf for the golf world, which in turn held all the characteristics for a perfect home lawn. It is low maintenance with a dark green leaf and adaptable to a variety of climate conditions. TifTuf has been hand picked out of up to 30,000 different Bermuda varieties, making it a genetically pure turf. TifTuf’s qualities are superior in drought, shade and wear tolerance, and it keeps a colour in winter whilst maintaining its quality. John Deere returns to the AGCSA Conference & Trade Exhibition this year with a new machine for the masses. On display this year will be the 8900A Wide Area Fairway Mower, which is new to the Australian market. With a cutting width of 330.2cm, this mower offers the widest cut in its class and John Deere can’t wait for you to see it! Living Turf is bringing the information age to the Trade Show this year; with two online technologies they consider to be best in the industry. Turf Forensics is a predictive climatic based agronomic tool, and TurfKeeper is a business management and reporting tool. According to Technical & Marketing Director for Living turf, Henk Smith, both programs work well together; mining large amounts of information and filtering it back to key decision-making tools. Both systems are designed and developed specifically for turf managers, so definitely worth checking out! Industry leaders Toro will return to the Conference & Trade Exhibition once again this year, but like previous years a lot of their main events happen before the official conference and Trade show kicks off! Proud sponsors of the STA Turf Graduate Award Program, Toro will oversee presentations from all State and Territory Nominees on Saturday, June 24 before assisting in the decision of who takes away the lucky award, which includes an all expenses paid trip to the USA Sports Fields and Grounds Forum in 2018, as covered by Toro. This award sets a great tone for the beginning of the event by recognising the future leaders of the turf industry. On Sunday evening after the official first day of the Conference, Toro hold their Golf Dinner for guests to attend. 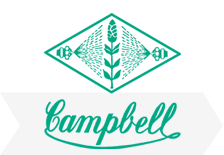 Colin Campbell Chemicals will be returning to Twin Waters this year with a new fungicide product called Emerald. Expected to launch in September this year, Emerald is a new generation broad-spectrum contact fungicide, developed for versatile use in changing climates. Emerald is the perfect partner to use in rotation with Dacogreen WeatherShield to combat diseases such as Dollar Spot, Anthracnose, Helmo diseases and Gray Leaf Spot. Advanced Seed are excited to show guests at the Australian Turfgrass Conference & Trade Exhibition their new seed varieties. Advanced Seed will be showcasing their new 777 Bentgrass, which will be available later this year, as well as a couple of Ryegrass options which are already on the market. Head to their stand at Booth 24 to find out more about RioVista, SoxFan and Double Tetraploid Ryegrasses! Previously Sustainable Turf, Sustainable Machinery is returning to the Trade Show this year to promote their new direction and wide range of equipment. Specialising in Future Technology, Sustainable Machinery decided to widen their scope, offering more specialised machinery for turfcare professionals to get the most out of their sportsfields, golf courses and grounds. Head over to their Trade booth to find out about their exclusive machinery range, featuring the air2g2, Koro by imants, the Vredo and plenty more. The AGCSA Australian Turfgrass Conference and Trade Exhibition runs from June 26 – 29 at the Novotel Twin Waters Resort on Queensland’s Sunshine Coast. 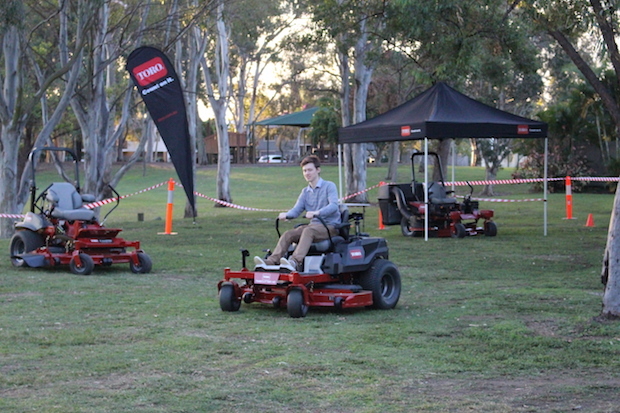 Our Turfmate writer, Jordan Crick will be flying the turfmate flag, so make sure you say hello if you see him!